I love cheese, and sometimes cheese doesn’t love me back. And thankfully, I’m not alone in this. I’ve got several friends that aren’t eating cheese or dairy for a myriad of reasons, all that are health-related. 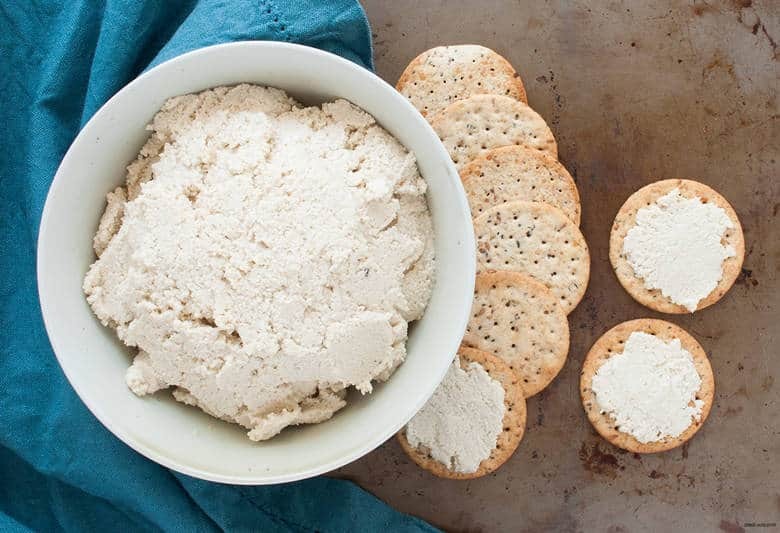 Even though we’re all taking the healthy high road doesn’t mean that delicious cheese memory goes away, so I’ve started dipping my toe into making plant-based cheeses and creamy sauces. After a few years of resisting because it “seemed too hard,” it’s surprisingly easy, you just need to know you want some cheese by the morning for that afternoon and you’re good. The key is soaking nuts so they get softer and are easier for your food processor/blender to break down and be creamy. Soaking nuts is also a good way to make it easier for your body to digest because it breaks down the phytic acid that “protects” the nut from invaders. 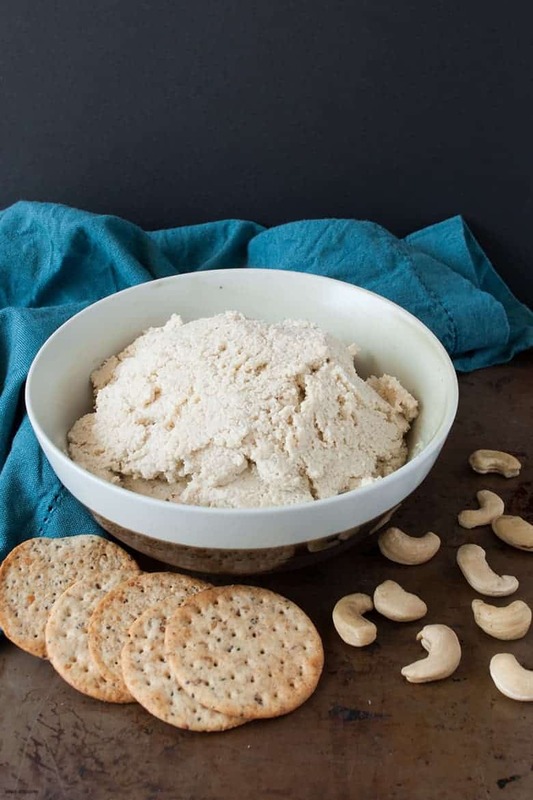 You can enjoy this Cashew Ricotta Cheese as an appetizer, for a snack with raw veggies, or as a dairy ricotta swap in recipes. This recipe has simple seasonings so it’s a little more versatile. If you’ve got a specific flavor profile that you’re adding it to (Italian, Greek, something spicy, something sweet), feel free to add additional seasonings in or omit the garlic powder completely. I would keep the salt in there even with sweet things because salt always brings something a little extra. Put raw cashews in a bowl/large mason jar and fill with enough filtered water to cover the nuts. Soak for at least an hour, overnight is better. Drain and rinse 2-3 times. In a food processor, add the cashews, lemon juice, garlic powder and salt. Pulse until small chunks remain, then pour in coconut milk while running until a ricotta texture is reached. Store in the fridge for a week.